Four friends … four lives … one decision Four college students, who couldn’t be more different from each other, move into a flat in Mumbai. While Varun is sloppy but lovable, Ahana is gutsy and reckless; Malvika is the group’s selfie queen and Garima is the most reserved in the group. Yet, all four get along like a house on fire. Although each of them is battling personal demons, their commitment to the bond of friendship they have built over time holds them together. Things, however, take a turbulent turn when one of the four finds herself caught in a mess. Will they stick together or fall apart? 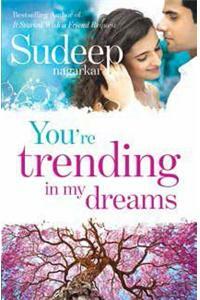 You’re Trending in My Dreams is a true story that will reaffirm your faith in the magic of love and friendship.